What Can Adtech Learn from Health-Tech Startups? 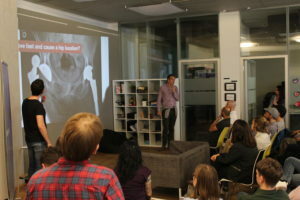 We recently hosted the latest On Product meetup here in our Berlin HQ. Now one of the largest product management meetups in Berlin, the group offers a platform for product people across all industries to meet and share their insights from their daily work in product management. In the latest meetup, we were joined by speakers from two digital health app startups: Vivy Health and Vivira Health. During the talks, we got to thinking about some of the shared challenges faced by Health-Tech and AdTech companies and some things the AdTech industry could learn from digital health companies and their approach to business. In a presentation from Vivira Health’s CEO on his company’s approach to product, Heimann pointed out that in digital health, a ‘Move Fast and Break Things’ approach doesn’t work when it comes to people’s health. Move fast and you might cause someone a hip luxation, or worse. The Vivira Health team went on to explain the mistakes they made in the early stages of building their orthopedic rehab app. They quickly realised in the beginning that being overly disruptive and working independently from doctors and therapists could cause usage issues and alienate the very experts that could advocate the use of the app. Realising their misstep, Vivira pivoted and decided to be “really, really medical” seeking to complement, not replace traditional orthopedic rehabilitation. Considering that disruption and growth at all costs remains core to the ethos of many AdTech companies, it’s no surprise the extent to which ad fraud, and non-viewable impressions have grown, creating trust issues industry-wide. In the past year or so, we have seen most players in the space begin to get all their anti-fraud and viewability ducks in a row, promising their clients more transparency and brand safety guarantees. New startups looking to enter the AdTech space can certainly learn a thing or two from Vivira Health’s approach to business by taking a more cautious approach and building trust and transparency into the heart of their products. 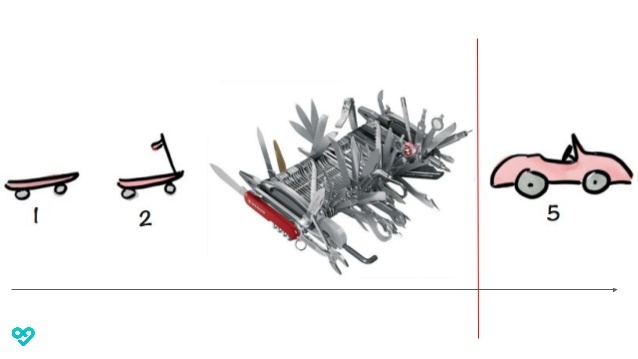 In his presentation playfully named ‘How NOT to Build a Product’, Vivy Health’s Product Manager Lucas Wagner shared some of his main learnings from his company’s first ten months of operations. One interesting insight we think many AdTech companies could take on board was Vivy Health’s attitude to product and feature building. Their approach is simple: Work on problems, not features. After spending time racing to a deadline for a self-imposed launch date, the Vivy Health app was rejected from the app store due to data compliance issues. The hurdle allowed the team to take stock of the work they had done so far and to gather research about their audience and how they were responding to the features of the app. With 30% of the app’s Beta testers agreeing to provide feedback on their experiences, the team were able to paint a holistic picture of the overall app’s experience for users and how key features were being utilized. Lucas and his team realised that they maybe didn’t know their audience the way they thought they did and based on the feedback, decided to take a more simplified approach to building out features and focusing on the problems that the app solves, and doing those well instead of becoming a one stop shop for any and all health challenges people face day-to-day. There is surely some lesson to be gleaned here for AdTech players who enter the market offering a whole stack of features that offer dubious incremental value from tracking and analytics to performance and optimization. Couple this with the overall complexity of the AdTech ecosystem and you have publishers dealing with so much monitoring, discrepancy management, fraud detection and now, consent management that the technologies originally built to streamline their workloads have now added to them. 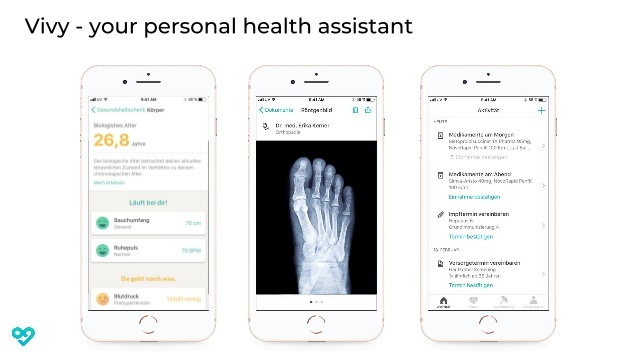 By focusing on problems instead of features, the product team at Vivy Health have managed to build an app that offers users real value by making already unpleasant doctor’s appointments easier. Ask any CEO of an AdTech company their mission and they will most likely tell you they build products to simplify and optimize advertising processes to make their clients’ lives easier. In an industry as complex as AdTech, we don’t need anymore cool features – we need solutions to real problems. Despite the high barriers to entry for Health Tech Startups, it was great to learn more about two startups recognising the challenges within the industry and building products to address these challenges head-on. 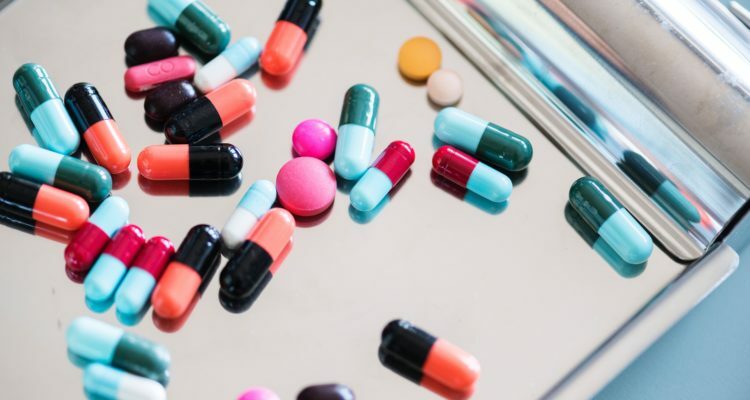 The Health Tech industry has been dealing with some major issues in the past two years as the industry becomes increasingly digitized. Theranos and Lumosity were two tech startups that made the headlines for all the wrong reasons, failing to prove their value and even facing charges from the Federal Trade Commission. 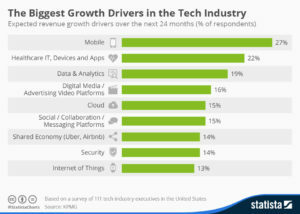 Like the Health Tech industry, AdTech has had its fair share of challenges lately, with a number of scandals around brand safety, ad fraud, and data privacy threatening to ‘burst the AdTech bubble.’ But despite all the doom and gloom, the AdTech and Health Tech industries continue to grow as smartphone adoption increases globally and people become more comfortable using their phones for everything from paying bills, to going on dates. Health Tech startups are cautious but undeterred by the massive hurdles they face when entering the space. We hope over the next year to see some more innovative companies entering the AdTech market with fresh ideas and smart solutions to tackle the everyday challenges we all face. Miss out on our last event? Follow us on Facebook to catch up with us and attend our next get-together.